I am that mom that finds anyway to avoid handing out candy for holiday celebrations at school. Why? Because I know how much extra candy we always have in our house and I assume that most kitchen counters look like ours. I am proud to say that for the last 4 Valentine’s Days that my kids have been in school, I have found Non-Candy Valentine options and this year is no different. Jude is pretty much obsessed with all things Pokemon and so are his classmates. Because he attends a pretty small school he is lucky enough to have a classroom of 10 boys, bless his teacher. So, this make Valentine’s Day easy! Pokemon for everyone! Just like my recipes, my DIY tutorials have to be easy too so I guarantee you will be able to pull these great Valentines off in no time! 1. Using the free printable Pikachu Valentine, print out the number you will need. 2. Cut out each printable and fold them in the center. 3. Have your child sign each card on the black line. 4. 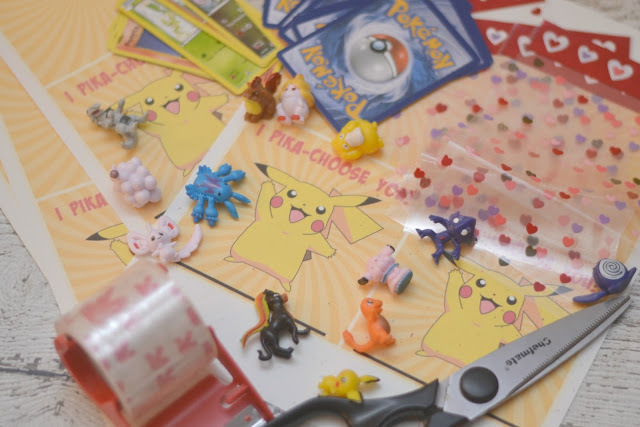 Fill each bag with 2 Pokemon cards and a few Pokemon figures. We added 4 figures to each bag. 5. 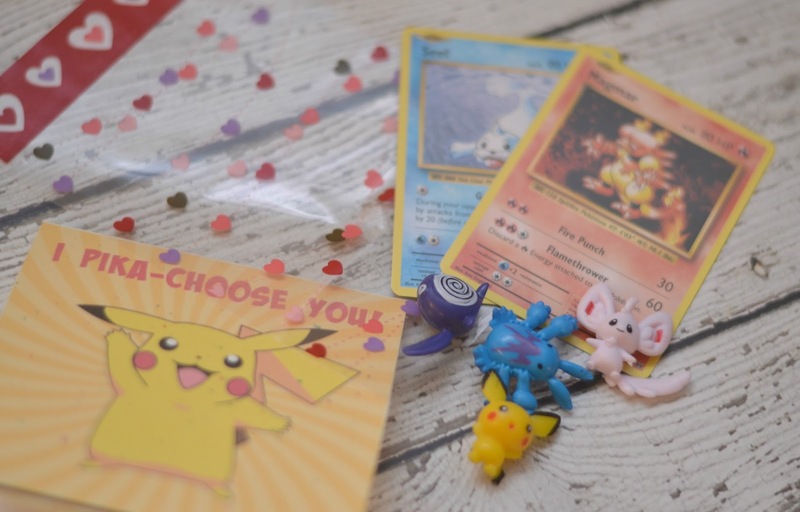 Using tape, “seal” the treat bag with the Pikachu card attached. 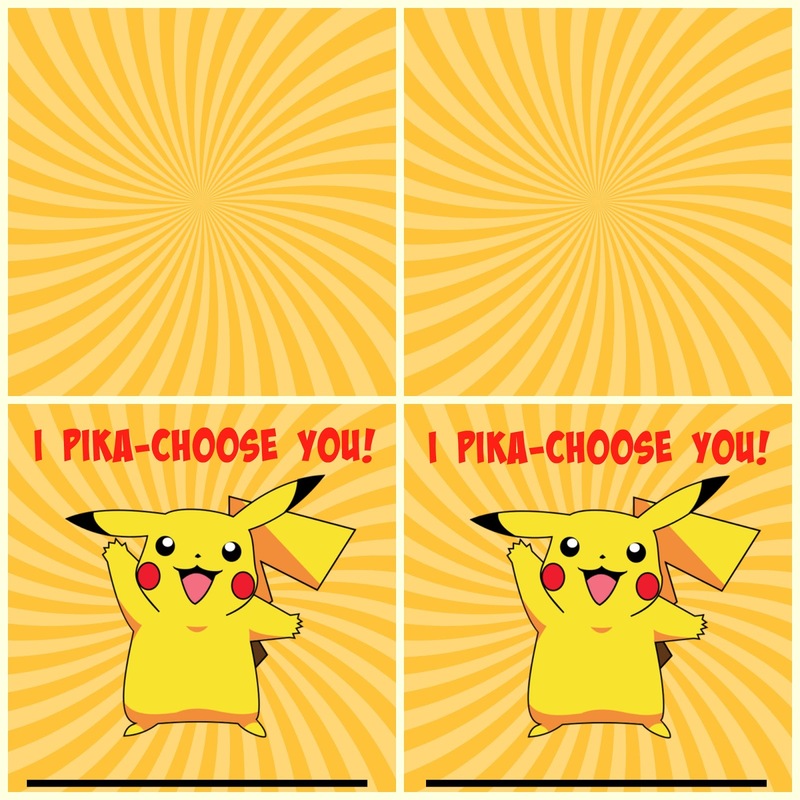 Download your FREE “I Pika-Choose You!” Pokemon Valentine Printable here. Jude is so excited to give these Pokemon Valentines out for Valentines Day in his classroom. I am excited that they are done and literally took less than an hour to complete! 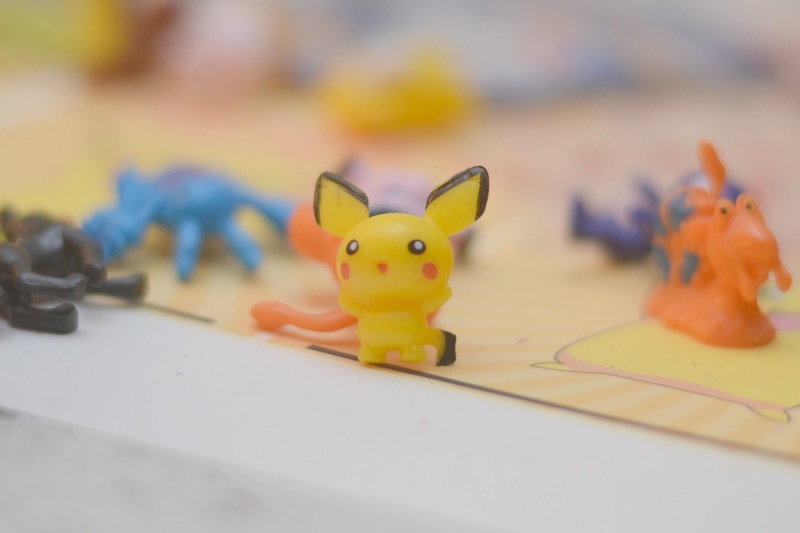 Plus these mini Pokemon figures are pretty adorable! 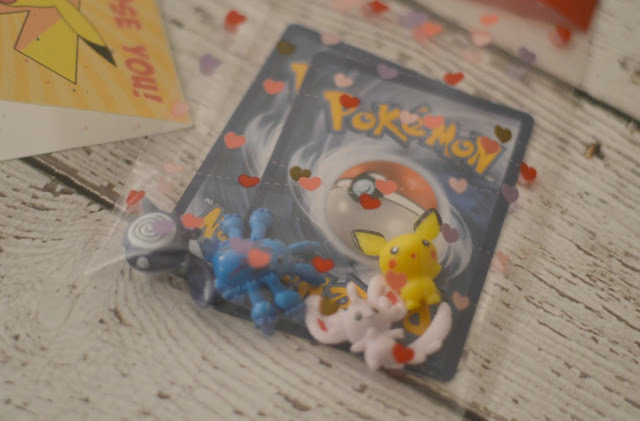 What Valentines are you and your kids creating this year? I expect you are right about how much candy is in everyone's homes after Valentine's. I've seen what my grandchildren bring home from school and it's a lot! Your Pokemon printables are so cute! Love these! Pinning. LOVE this! Not only is candy just bad for everyone but a lot of kids have medical conditions and can NOT HAVE the candy, which is sad, especially when their classmates can. I LOVE this idea and so many kids would just LOVE to receive this! Way to go mom! How cute are these! I always love seeing all the valentines that the kids bring home. We have a cute little project we are planning on doing. I am really loving all of the printable options this year. They are so cute and you know the kids must appreciate it. We are having a hard time finding the correct ink cartridge for our color printer. It's 4 years old and we live in the middle of nowhere. I need to look again when I go to the city so I can print these out. I am one of those moms that tries to find the candy free option for the class parties at school. The amount of candy and junk that they receive is just scary! My youngest is head over heals about Pokemon right now. He'll love these! What an adorable play on words! These are too cute! I can't believe it's almost Valentine's Day…this year is really flying by. I actually bought Valentine's for my kids the other day, but this would be fun to make for THEM! These are so cool! I didn't even realize that you could get little figures, in bulk, of Pokemon off of Amazon! My son would absolutely love to give these out to his class! I did not know that you were required to give out candy or gifts to everybody for every holiday. Thought I am not opposed to it. 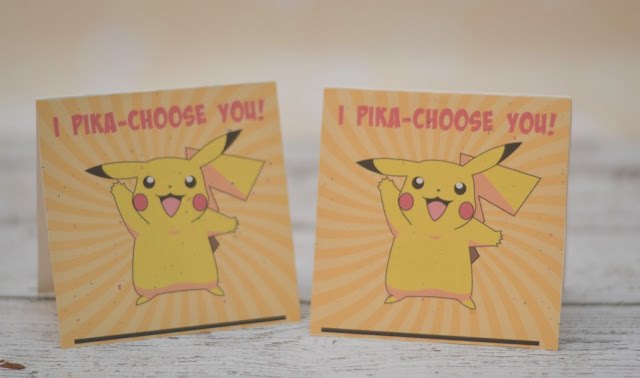 But, with Pokémon being so popular lately, I guarantee a big smile from everyone you give one too because it is sweet and cute all at the same time. Wow! 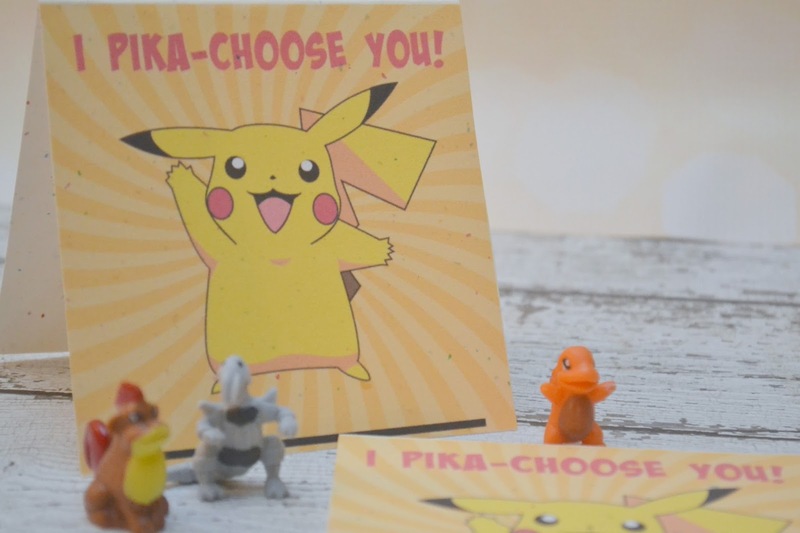 This will be an awesome gift for those who are fans of Pokemon especially kids. 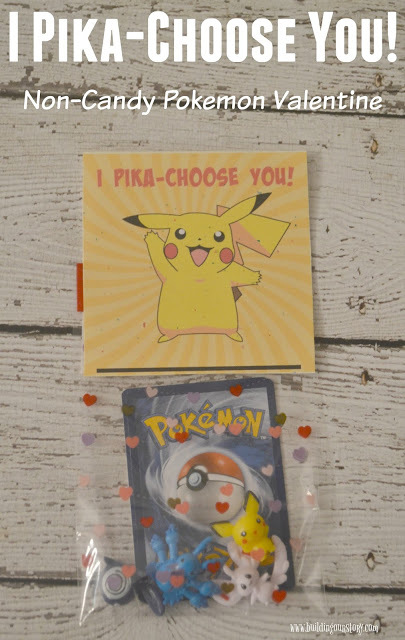 Pikachu is a super cute character. 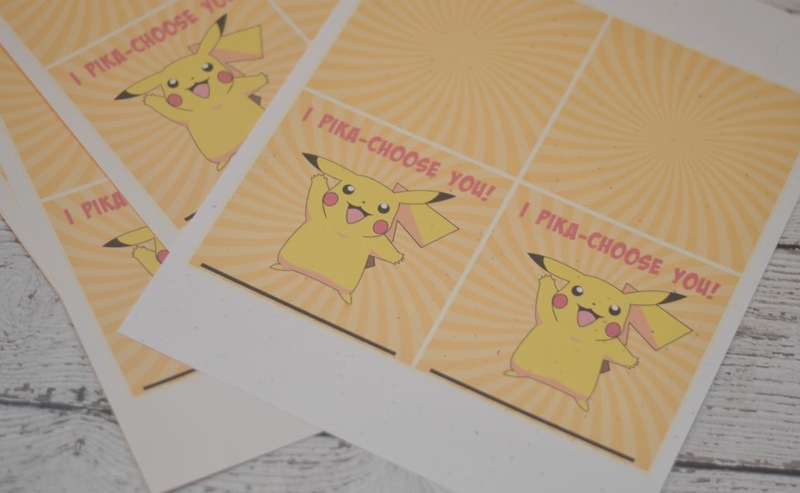 These printables are adorable.